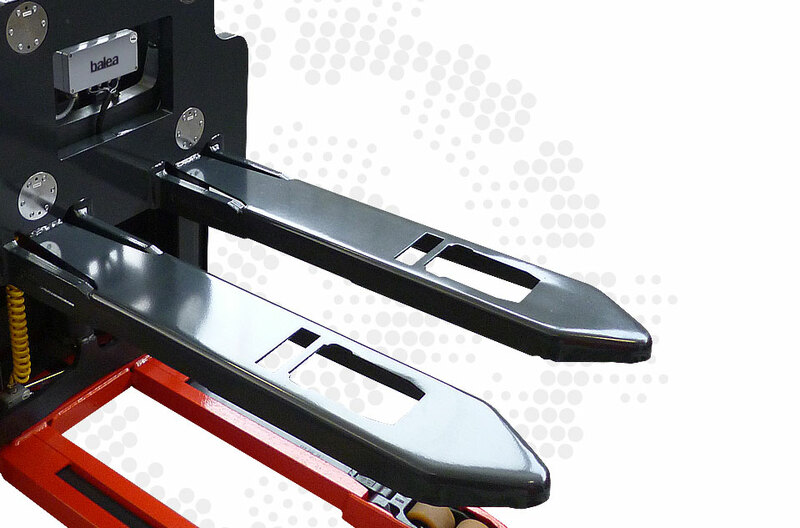 Weighing transformation kit for any type of stacker truck. Communicate, control, et optimise your logistic flows. Mechanical assembling from the original frame and adding a counter fork carriage frame. Excellent resistance in time ensuring the safety of the investment. Weighing transformation kit for any type of stacker truck (any brand, any model). 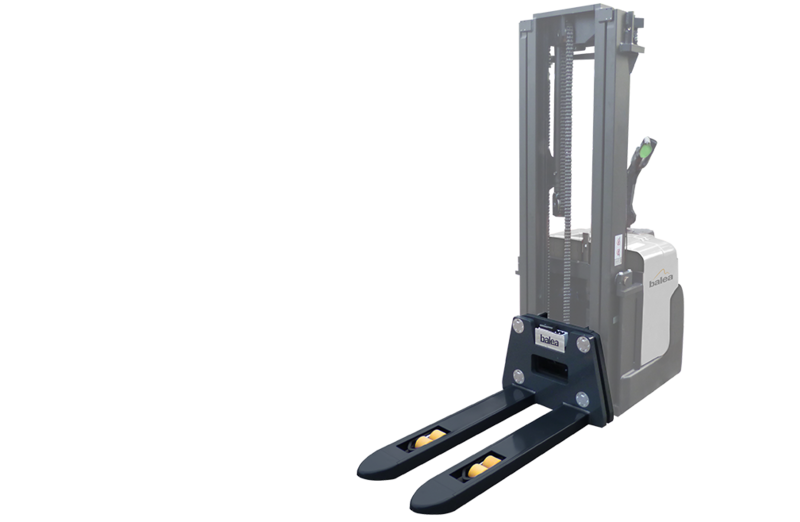 Pedestrian, folding platform rider, seated rider, counterbalance stackers and stocker trucks with initial lift. We work on the original forks. The CPG is suitable with the last embedded electronics generation and several options are available (WiFi, USB, Bluetooth, programmable thresholds…). Multi-range / multi-intervals, graduation on demand regarding usage. Couple the TEO indicator with a printer. 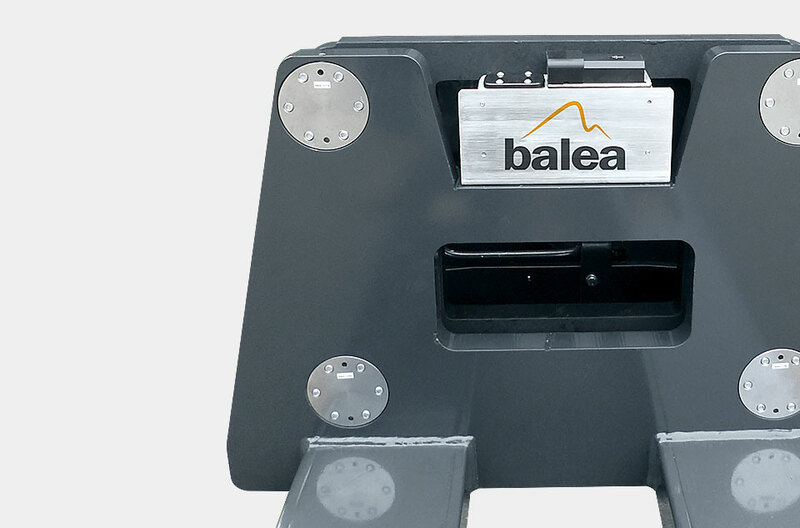 Balea’s weighing kit adaptable on any type of pallet stacker truck.